Can Cleaning Companies Exterminate Bed Bugs? There are several cleaning companies that offer bed bug cleaning services. Is it too good to be true? Can you really get rid of bed bugs without an exterminator? Read along to find out. 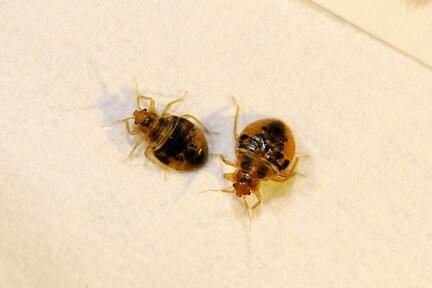 Adult bed bugs are brown or reddish brown, flat, and approximately the size of an apple seed. Their eggs are pearly white in color and only 1mm in length, making their eggs nearly impossible to see with the naked eye. Bed bugs feed exclusively on blood. When they are not feeding, they hide near where people rest which can include furniture and beds. Other less obvious places include electrical outlets, under loose wallpaper, and in the folds of curtains. Bed bug bites are essentially painless and often go unnoticed while the bugs are feeding. Reactions to bed bug bites can range from no reaction at all to a very severe allergic reaction, and the level of reaction tends to vary depending on the person. The most common reactions appear as a raised, reddened welt similar to a mosquito bite. Bites tend to be very itchy and often appear in rows of 3-4 welts or more. Although this is the classic indication of bed bug bites, everyone reacts differently so it’s possible that you may not exhibit these exact markings. Can cleaning companies get rid of bed bugs? Several companies provide cleaning services for bed bug infestations in NJ and PA. The services of the cleaning company are contracted by a homeowner or a pest control company before the arrival of a professional bed bug removal company (in most cases). The common misconception by some homeowners who suspect bed bugs is that these companies can get rid of active bed bugs without chemicals (or a pest control professional), and can simply clean out the bed bugs with their cleanup services. Bed bug cleanup services typically involve vacuuming under beds, cleaning and drying pillows and bed linens, and using cleaning agents to combat the infestation before the arrival of the pest management professional. The short comings of the bed bug cleaning service include vacuuming and putting linens into the dryer on high heat. While this will get rid of visible bed bugs, it still does not address the main areas where they live and breed. Another issue with cleaning companies is that they often unknowingly mishandle linens. Shaking them or flinging them onto the floor can move the bed bugs and cause the infestation to relocate or even spread. The approach that most professional bed bug cleaning companies take is not to get rid of bed bugs, but instead, to prepare your bedroom for professional bed bug pest control. While reducing clutter, vacuuming the room, and putting pillows and bed sheets into a dryer on high heat can help with bed bug infestations, it’s not a substitute for professional bed bug pest control. Some people reach out to cleaning companies in hopes of avoiding treatments from pest control companies which can be pricey (depending on the severity of the infestation) and also trying to avoid pesticides (something we will go into later.) Unfortunately, there is no “quick fix” or shortcut when it comes to effective bed bug elimination. So is it worth it to hire a cleaning company to clean for bed bugs or should you prepare for a professional bed bug service on your own? When you have bed bugs in your home, it can seem overwhelming and daunting to even think about what you need to do to prepare your home for service. What comes to mind based on the standard protocol of some pest control companies is that you need to stand up your mattress, put all of your linens and clothing in bags and wash them, empty all of your drawers, and nearly turn the room upside down so the pest control technicians can effectively perform the service. Most bed bug services will require a lot of heavy prep work on your behalf that’s not only inconvenient, but very time consuming. Although cleaning companies might be able to lift some of the burdens off of the homeowner, it’s not likely that they can completely prep a room on their own. These companies, in particular, will add an extra step, charging you to essentially prep your home for treatment, which is unnecessary if you hire Cooper Pest Solutions. Cooper Pest Solutions takes a completely different approach when it comes to preparing a home for bed bug treatments. Our solution is simple. You, the client, do not need to do worry about preparing your home for bed bug services. You may be asked to simply reduce clutter for our technicians to be able to reach the areas we need to treat for the most effective results. By not preparing and packing rooms in your house, our bed bug technicians will be able to use their knowledge of bed bug behavior to handle the elements of any given room strategically where bed bugs are suspected. Let’s explore the types of bed bug treatments and why they are effective or ineffective. Pesticides are only used as targeted applications and are applied where the bed bugs are most active rather than covering an entire home. Again, no prep is required on your end for our Bed Bug Elimination Service. Heat Treatments – Heat treatments for residential homes involves heating areas where bed bugs are present. Bed bugs die between 117°-122° F, so this will be the temperature at which the service will administer. This is a very effective way to eliminate bed bugs in homes. However, pesticide applications are usually applied after the heat treatment is complete to ensure bed bug elimination. Heat treatments are an expensive alternative to integrated services but can be equally as effective. Cryogenic Freezing- Just as extreme heat kills bed bugs, creating freezing temperatures also produces the same result. Pest control technicians will spray what is called Cryonite, producing a dry ice snow, free of chemicals and residual pesticides. Freezing methods require that the freezing agent is under 0° F. Using higher temperatures will work but take significantly longer. DIY/Home Remedies – One of the most popular forms of DIY bed bug control is the used of baking soda. It’s said that you should sprinkle baking soda where you find bed bugs once a day over a few days, vacuuming up bed bugs as you see them, resulting in total infestation elimination. There is no scientific evidence to suggest that baking soda will kill an entire bed bug infestation. Essential oils are another way that non-pest control professionals claim will repel bed bugs naturally. Using a more “eco-friendly” option can sound appealing to those who are adverse to chemicals, but unfortunately, this strategy is completely ineffective. Spraying directly onto a visible bed bug will kill it, but the underlying infestation location and smaller nymphs and eggs that cannot be easily found will not be eliminated. Unfortunately, essential oils are essentially useless. And other DIY remedies such as bug bombs and not recommended. 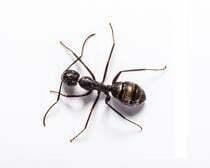 Not only are DIY solutions ineffective, but by using them, you will likely make it more challenging for pest control technicians to eliminate the problem. DIY strategies typically repel bed bugs from their breeding location, forcing them to infest another item such as a couch or electrical outlet and potentially another room. Can you get rid of bed bugs without an exterminator? Using a cleaning company or cleaning products that you can buy at home improvement stores will not stop an active bed bug infestation in most cases. The products and methods used will take care of the visible bed bugs by killing them on contact, but you will not be able to find all of them on your own. As mentioned previously, cleaning companies are better at preparing your home for professional bed bug treatments for those companies that are not skilled in “no prep” bed bug control services. It can also be the case that the cleaning agents they might use can act as a repellent and unfortunately, these sprays frequently cause the bed bugs to scatter and move to other places within the room. 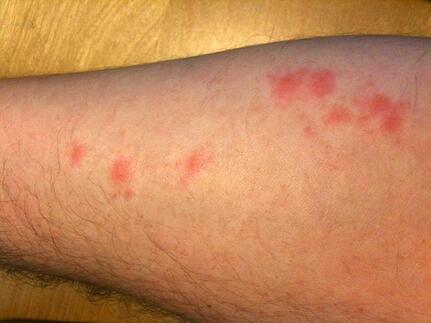 At this point, you would have to reassess where the bed bugs are living, which is even more effort. The bottom line is that you can use several strategies to get rid of the bed bugs that you can physically see and getting rid of visible bed bugs is not a complete solution for elimination. An average bed bug treatment program for a residential homeowner can be anywhere from $1,000-$3,000 depending on the severity of the infestation. Also, there is an inspection fee which is typically over $100. There are several factors that go into the pricing of bed bug services depending on the company providing he services. The intensity of performing services is another element that is considered when treating for bed bugs. Our technicians will move heavy box springs, mattresses, linens, pillows, and other belongings to treat your home thoroughly. Unlike general pest services, bed bug treatments are significantly more labor intensive, take more time, and require very specific skill sets. All of our certified bed bug technicians are trained on bed bug biology and behavior by the leading bed bug expert and author, Dr. Richard Cooper. Dr. Cooper has trained a dedicated team of bed bug specialists at Cooper Pest Solutions and throughout the pest control industry. Hence, we will not send our technicians that are not a part of this highly trained team. How does Cooper treat for bed bugs? If you believe you have a bed bug infestation, the first thing to do is call Cooper Pest Solutions. Do not touch or move anything. Moving furniture or throwing out linens and mattresses will only cause the bed bugs to relocate within your home. 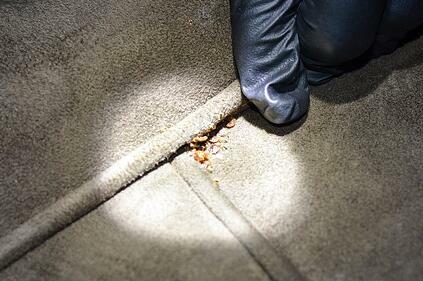 The next step is to schedule an inspection from one of our trained bed bug specialists. Due to the labor-intensive nature of the inspection, there is a flat fee of $125, and we are unable to provide inspections in apartments. If our bed bug specialist determines that you have an active bed bug infestation, the next step is to begin service. We will treat every room in your home. While other pest control companies will solely focus on the room where bed bugs have been found, we believe that this strategy is not rigorous enough. Treating every room reduces the number of follow-up treatments and the discovery of additional infestations. During the service, we will try to use as much “mechanical,” non-pesticide tools as possible to reduce the use of chemical applications. These mechanical tools can be the use of mattress encasements, bed bug monitors, steaming, and vacuuming. Next, our technicians will provide targeted pesticide applications. Cooper provides two options for proactive bed bug monitoring for clients without current infestations with our Bed Bug Assurance program. This program provides you with active monitoring and service coverage should you have a future bed bug infestation. Our Client Max option provides the client with peace of mind that bed bugs will be detected and treated if they should show up. Bed bug monitors will be supplied to you to place under your bed. This tool will catch bed bugs that climb up or fall into the device and not be able to escape. With this simple concept, you will be able to monitor for bed bug activity without chemical treatments. A Cooper technician will visit your home every 90 days to inspect and replace elements of the monitors to ensure continued accuracy. If bed bug activity is found, we will treat accordingly at no cost to you. The Service Max option provides you with the same features of the Client Max plan, with the addition of technician visits, so you do not have to place the monitors on your own. If our technicians find bed bugs within the monitors, you will receive treatment at no additional cost. Do you want to learn more about bed bugs? Visit our information library to learn more. To schedule an inspection, fill out the contact for on this page or give us a call at 1-800-949-2667.